Why train in EFT (Emotional Freedom Technique)? For starters, EFT is simply a wonderful and effective therapeutic tool that can be helpful for all. You can train to work towards being a practitioner or you can train simply for your own personal development and healing, or perhaps to develop skills which mean you can swap EFT sessions with others or with therapists of other modalities, and of course a combination of the above. EFT is growing in popularity because of the wonderful results many people experience, and the fact that it works on so many issues. From clearing a phobia in one session, to long term use supporting recovery from trauma and chronic physical health problems such as CFS/ME and even cancer. With therapists who are sufficiently trained or experienced, EFT can also lead to the resolution of mental health problems. When I was recovering from ME 10 years ago, someone said to me that to get better you need to become a healer. This is a shamanic way of looking at illness; to learn to heal oneself for the purpose of ultimately benefiting others. This resonated with me at the time for my personal journey. So for me, doing various training courses including EFT was crucial in my journey to reaching and sustaining wellbeing and a happy and healthy life, as well as providing me with skills to create a business that resonated with my heart. So, training in EFT will benefit you whether your goals are simply for personal development, or for the development of a new career, or somewhere in between. 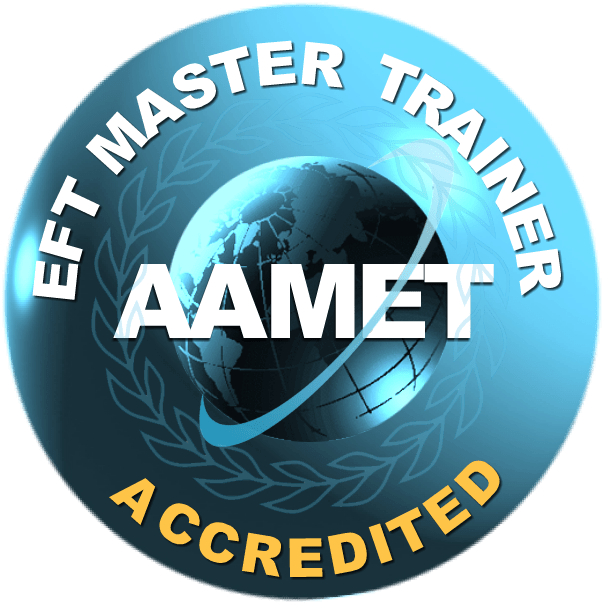 The AAMET website provides a list of accredited master trainers, who give high quality regulated trainings that enable you to become an accredited practitioner with the largest EFT organization in the world. I am one of them in Sheffield UK, and am happy to travel to other places in the UK if event organisers can get a group of 8 or more people together.